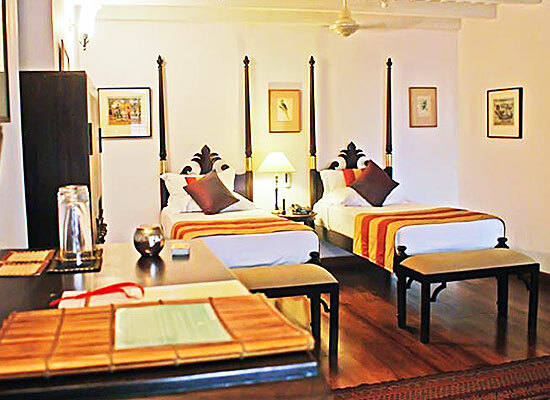 "Located close to the Chinese fishing nets and adjacent to St. Francis Church, Le Colonial is possibly the oldest hotel of Asia in Fort Cochin. 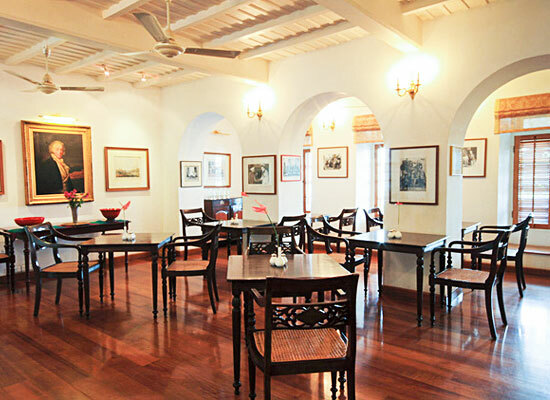 Finding back its roots to 1506, today, it is one of the best heritage hotels in Kochi. The hotel is known to have hosted Vasco da Gama and the Saint. 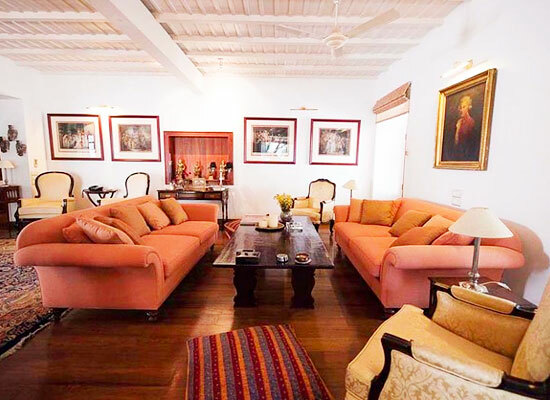 The former home of the Portuguese Governor for 150 years and the Dutch Governor for more than a century, this hotel boasts of a wonderful colonial charm. The garden pool and the inner patio add to the charm. The hotel has eight spacious rooms and suites. The food served is sumptuous. Hotel Le Colonial in Kochi (Cochin), built in 1506, was used in the form of a residing base by Vasco da Gama and the Saint. It has now been turned into a beautiful accommodation retreat where the guests can have a pleasant amidst the ambience of colonial era. This place is filled with the lifestyles of the emperors, adventurers as well as governors. The rooms and suites are quite spacious and you have good food options too. 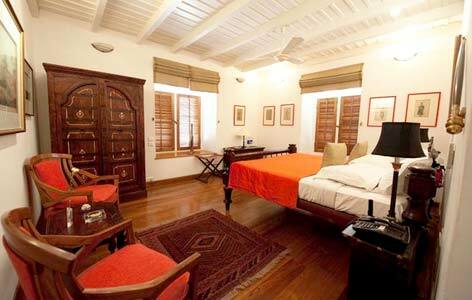 All the 7 spacious rooms and suites have been given an aesthetic décor, taking you back in colonial times. There are marble and mahogany bathrooms (rooms have standing shower while the suites have bathtub, in-room service, morning newspaper, fresh flowers, TV, telephone, in-room safety box, hair dryer, and so on. Each suite has an attached scheduled terrace. If you still need a larger space, then there is an option of Grand Suite too. At Hotel Le Colonial, you are going to relish some great Indian, Continental and Keralan food prepared by the in-house chef, in the dining room or at the terrace while enjoying the scenery. 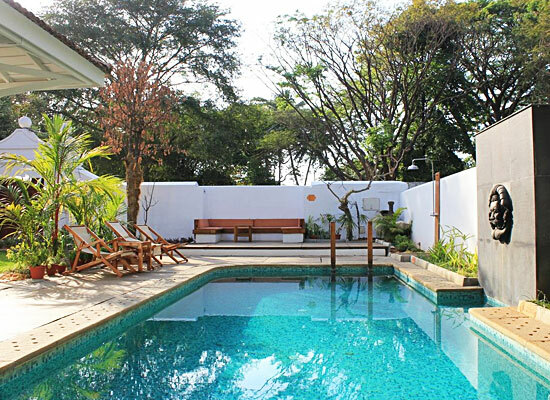 You can even relax by the side of the pool side, at the Veranda while enjoying a cup of tea. Kochi (Cochin) is a major port city, which is also known as Emakulam. This place has a lot of history attached to it. In the past, it had been the center for Indian spices. Today it is also visited by a large number of tourists since it is known for its serene beaches and natural scenic beauty.